It was a blustery cold late-autumn night. But inside was cozy and warm. A baby was being born. It was my last birth of 2017. 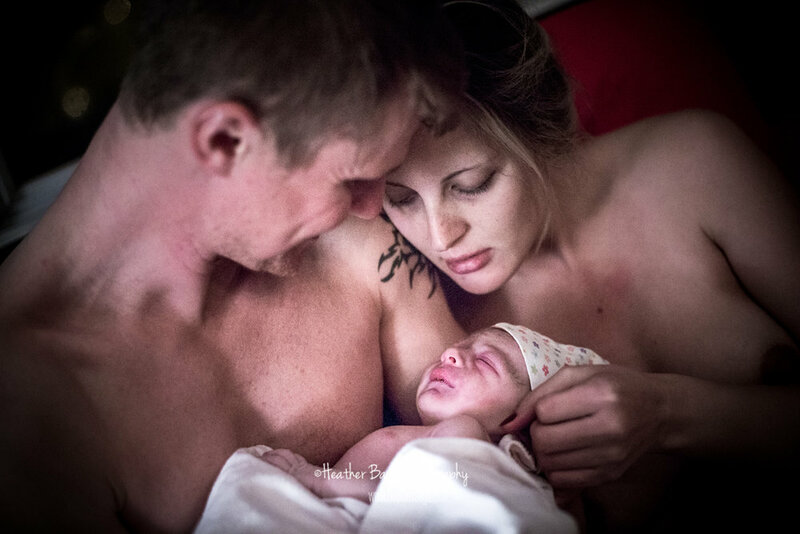 A beautiful home birth. Everything went perfect. It was their first baby. Being present for first babies is pretty miraculous. I love watching the parents because everything is a surprise. Every moment of this journey is a first for them. It's such a beautiful thing to witness and document. You can see for your self by scrolling down through these pictures to the bottom of this post where you can watch the whole birth story! I have documented 43 births (as of last night) and it will never get old, or dull, or boring. And I am so extremely humbled and grateful for all of you lovely families that have welcomed me in to the most memorable, surreal, amazing days of your lives. Know that your experiences have a huge impact in my life too. So thank you. Thank you from the bottom of my heart. I am very much looking forward to 2018 when I already know I will be seeing some of you again. More of Jasper here: Jasper's in-home newborn session.